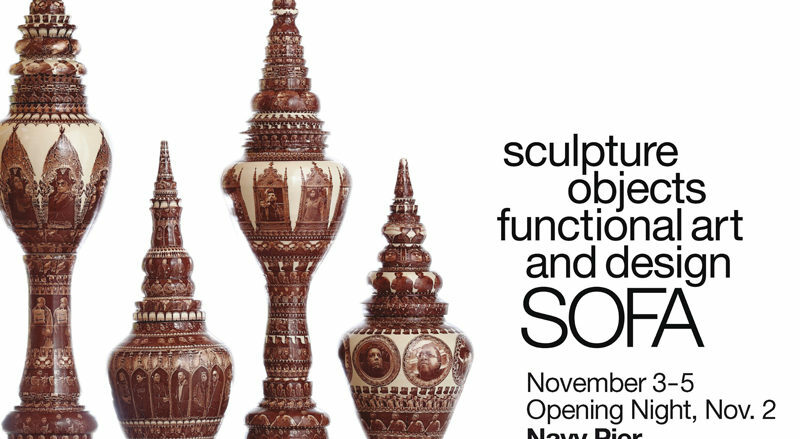 SOFA CHICAGO, the City of Chicago’s critically acclaimed and continuously running fair since 1994, distinguishes itself from other top art events in its focus on three-dimensional artworks that cross the boundaries of fine art, decorative art and design. Held annually in Navy Pier’s Festival Hall November 2-5 the fair features nearly 80 national and international galleries displaying the very best in Sculpture, Objects, Functional Art and Design. Nearly 36,000 collectors, artists, designers, and art lovers are set to attend this year’s Fair and with new Designer Vignettes, Consultations with Art Curators, a French Pavilion highlighting French Galleries and Artists, you can expect an exciting 2017 event.